« A Female Wing for the Moocher Hall of Fame? Yes I only read this and given Mr Mitchell accepted this mediocre paper by Tony Makin ( one example he said the stimulus boosted the exchange rate, it actually fell!) I can only imagine what his otheranlayes are like. you should pay attention to what people say not what you say! Hahaha. I can see this has been a complete waste of time. Good day. Mate that has nothing to do with with the issue except the raising of taxes was essential to Greece’s program to help via the Troika.The Troika said an economic program right out of the classical economics manual would bring recovery in Greece. It did the exact opposite. I have nor read Mr Mitchells’s analyses nor have I commented on them. All I have said is that both Estonia and Europe are prime examples of showing how classical economics does not work. Well….as I’ve said before: the fact that you’re using the struggles of Greece- a country where government spending is over 50% of GDP, added large tax hikes to their already high tax levels, and has the lowest Ease of Doing Business ranking of any OECD high income country- as a refutation of Dan Mitchell’s economic views is just bizarre. Also the fact that you apparently consider those policies to be the definition of classical economics. Or the fact that I’ve twice asked you what you disagreed with regarding his analysis of Estonia and the so-called “austerity” in Europe, and you completely ignored it both times. It’s been three days now. This is getting tiring. what is odd a bout it Classical economics demands a balanced budget no matter what condition the economy is in. Which points am I avoiding? Again, you seem to have an odd definition of “classical economics.” You also seem to be going out of your way to avoid responding to any point I make. Zack, the evidence is in if you adopt contractionary policies when the economy is contracting then the economy gets worse. Hells bells even Hayek realised his advice to Bruning was wrong! This gets to why classical economics is so bad. It is contractionary when the economy is contracting and expansionary when the economy is expanding. i.e. it is pro-cyclical not counter-cyclical. You are so right. The rationale for lefties is always “we just didn’t do enough.” Anyone who lives long enough and pays attention will see variations of this repeated over and over. Maybe lefties view it as a no-lose strategy. If a government action works, hooray, it works. If it fails, it’s because we didn’t do enough of it. But there is never an admission that government action itself tends toward failure. It’s funny and sad. In the UK the Parliament of 2010-2015 spent the most per head of any 5 year Parliament in its history. That’s using inflation-adjusted real numbers. Yet there seems to be a consensus among lefties that the amount spent was insufficient. You could not make it up. 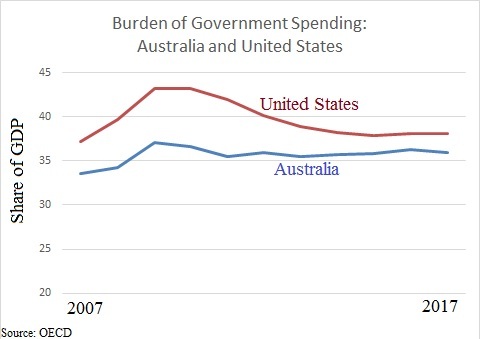 At least the Australian Treasury has acknowledged that the quality of spending is more important than the quantity. And a recent OECD analysis has found that subsidies and pensions have negative multipliers ( thanks for finding that one Dan ). These things need wider publicity. If high and increasing taxes, government spending 50% of GDP, and ranking 61st in the World Bank’s Ease of Doing Business (the worst of any OECD high income country) are your definition of classical economics, then sure, I guess Greece is an example of its failure. As for Estonia and European “austerity” in general, as I said, you can use the search bar to see Mitchell’s previous posts on the subject. Feel free to let me know how you disagree with his analysis. of course it is. They were promised the economy would improve if they implemented the measures. They suffered a depression! So did Estonia. If he thinks they it successful then he is living in lah lah land. It is somewhat ironic Keynesian is far more tight in terms of fiscal policy when the economy is good than Classical economics which is quite loose! nottrampis, how do you define “classical economics” and which countries are you referring to? so Tony Makin’s embarrassing analysis is okay with you. 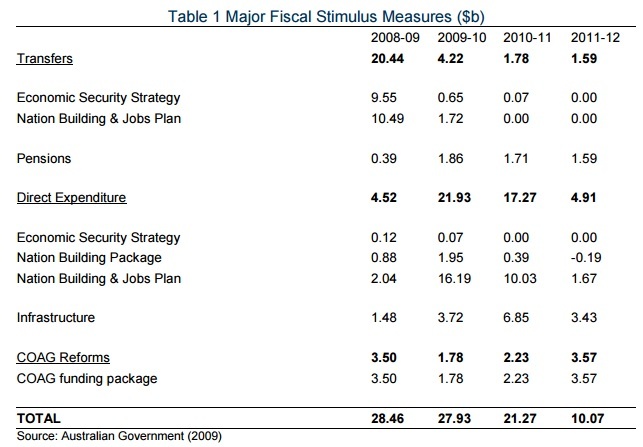 Why did China;’s stimulus work yet Australia’s somehow did not. why was there two clear up wards boosts to consumption following the stimulus yet none before or after? How about another way of viewing it. How come every nation that adopted classical economics after the GFC had a depression ( a reduction of 10% in output ) . Europe did really well adopting it as well! Or even another way the IMF found fiscal multipliers increased during zero bound moments.